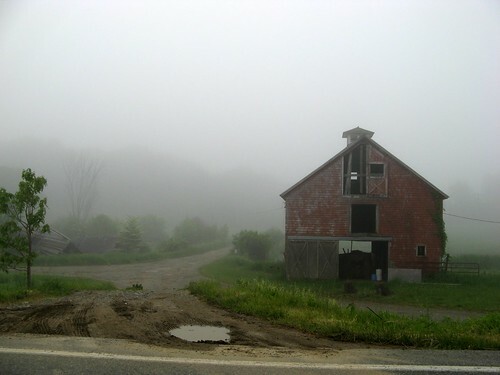 farm in the fog2, originally uploaded by jahansell. Driving through Amenia at about 6:30am, the old falling down farm that I've photographed before (here and here) really caught my eye! I'm not sure which picture I like best, the one I have posted, or this one. I love this photo...so mysterious! I like this one best - a foggy morning captured beautifully. The other one is good but it doesn't pull the viewer in the way this one does.